If there was some good to come out of Typhoon Maring, it would be this. Due to the heavy rains and extreme flooding everywhere these past few days, we were forced to restrict our travels to nearby places for safety reasons. And this is how we came to discover Calderon Cocina Tapas Y Bebidas. It used to be that the only good places to eat around the Greenhills area were chinese/dimsum restaurants that scattered along the length of Wilson and the commercial center. Not anymore. I'm happy to report that we are soon becoming a melting pot of different cuisines! Numerous hole in the wall restaurants have started sprouting all over the area serving really good, authentic food. Calderon is one of them. 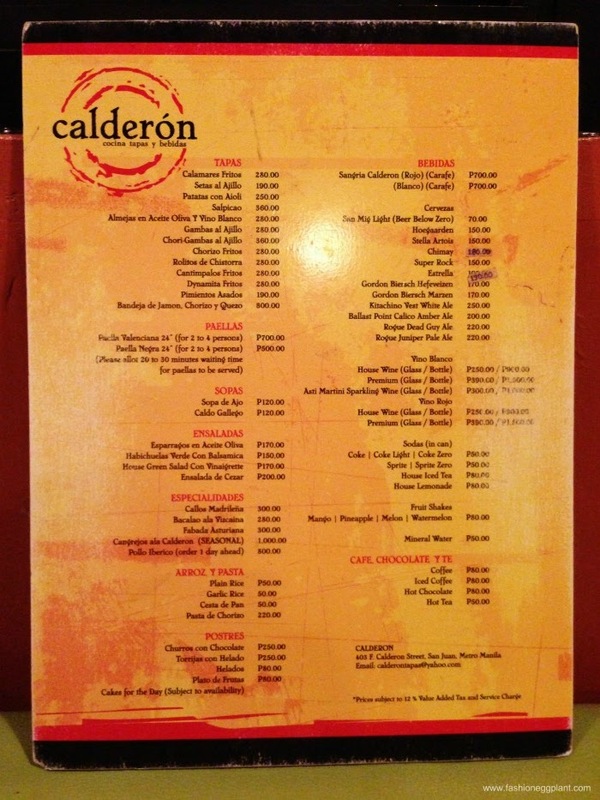 Calderon's menu is minimal. 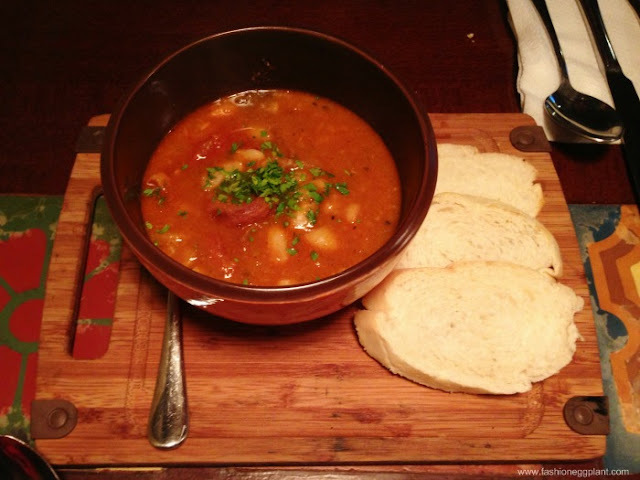 They only serve dishes that are already popular and familiar to Filipinos like Paella, Callos, Bacalao and Churros. At first glance, I found it to be a bit pricey but at the end of our meal and after settling the check, our total was pretty typical of most our dinners out. The restaurant itself is small and cozy. One of those apartment turned resto places but it's definitely not lacking in character. I actually like the "small-ness" of it and the dim lights, perfect for a date night out with the hubby or bf. During our visit we had the Fabada (P300), Chori-Gambas Al Ajillo (380), Paella Negra (P500) and Hot Chocolate (P80) for dessert. I rarely enjoy restaurant Fabada's since my Mamita has spoiled me all my life with the best Fabada ever but since she's in the States, Calderon's is a good second. Almost similar. 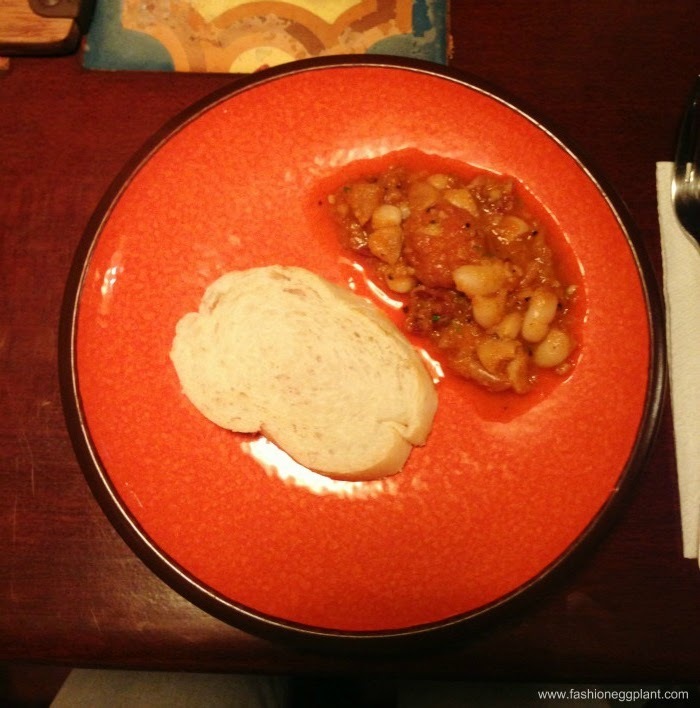 Very basic, just one type of chorizo, pork and white beans. No blood sausage or other types of meat. The simplicity of it almost makes it feel homemade, it's excellently cooked. The pork is tender but not to the point that it flakes and loses shape. The bread served with it is also super yummy. You only get three slices though so we ordered an extra basket for P50 to better enjoy our Fabada, we devoured everything completely, even the sauce. Next up, was our Chori-Gambas Al Ajillo which was recommended by our waiter as an accompaniment to our Paella Negra. Just like the Fabada, this was perfectly cooked as well. 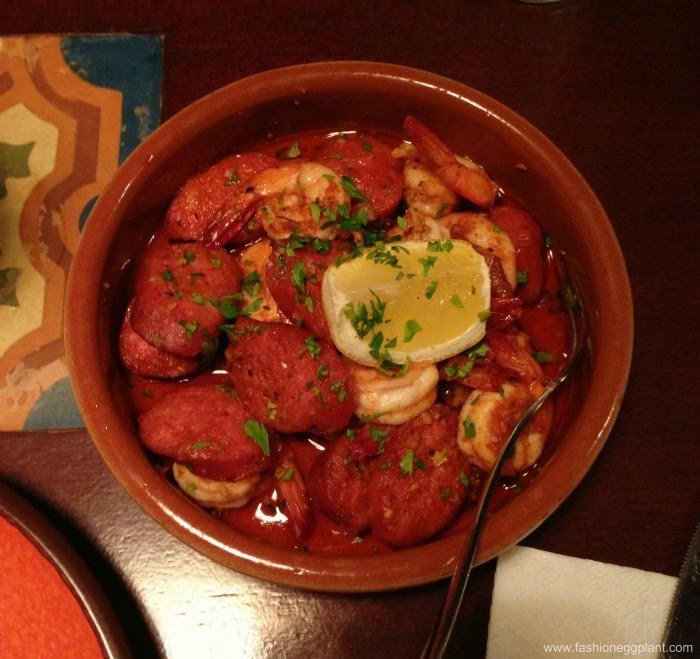 Serving may seem a bit small but the richness of the Chorizo makes up for it. Any more and it might get "nakakasuya" already, not to mention cholesterol. And then there's their Paella Negra...Me and Dennis are more Valenciana fans but Nikola is a steadfast Negra girl so we were forced to order it and I'm glad we did. For only P500, it's a steal and the best Paella Negra I have ever tried. They even serve it with Aoili sauce on top. How many Spanish restaurants do that? In my experience, only the best. The Aioli was the proof I needed to confirm that the people behind Calderon really know what they're doing. 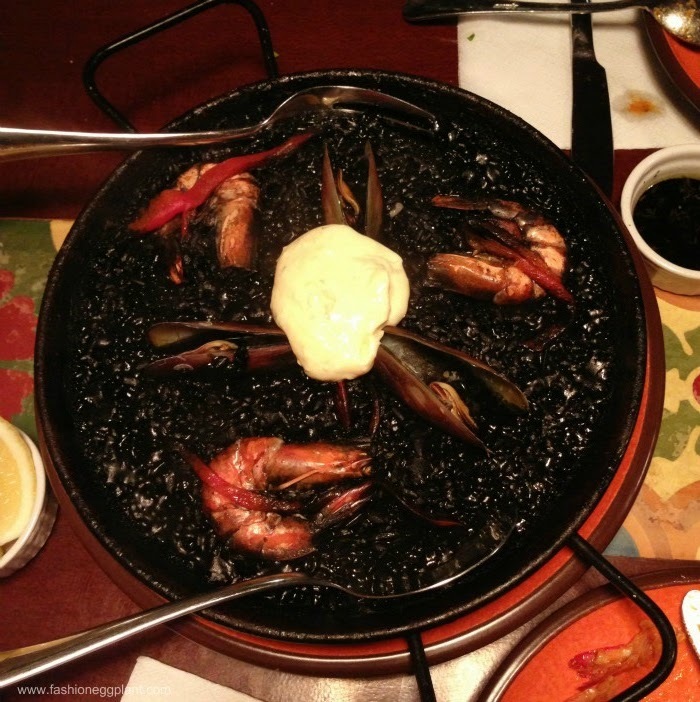 The rice of our Paella Negra was cooked al-dente with just the right amount of "tutung". It was also abundant with squid and shrimp and the flavor was just out of this world. sidenote: I prefer it without lemon so taste first before squeezing, I find the Aioli gives it enough tang already. Since it was a cold and rainy night, we decided to order their Hot Chocolate for dessert. Dennis feels the same way about Hot Chocolate as I do when it comes to Fabada. He grew up with the authentic rich tablea and ground peanuts. Something he has been craving for since forever but we've had trouble re-creating since you have to go to the market for unsalted ground peanuts and it just seems like too much trouble for 1 cup of chocolate. Anyway, not to get sidetracked, Calderon is the only place Dennis was able to finally get his authentic Tsokolate Eh fix. 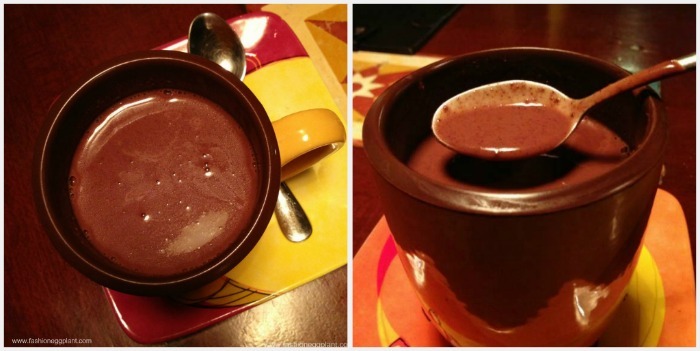 Most restos that put Tsokolate Eh on their menu usually serve Hot Chocolate that resembles more of a Tsokolate Ah. Calderon's is the real deal. Thick, rich and extremely delicious. 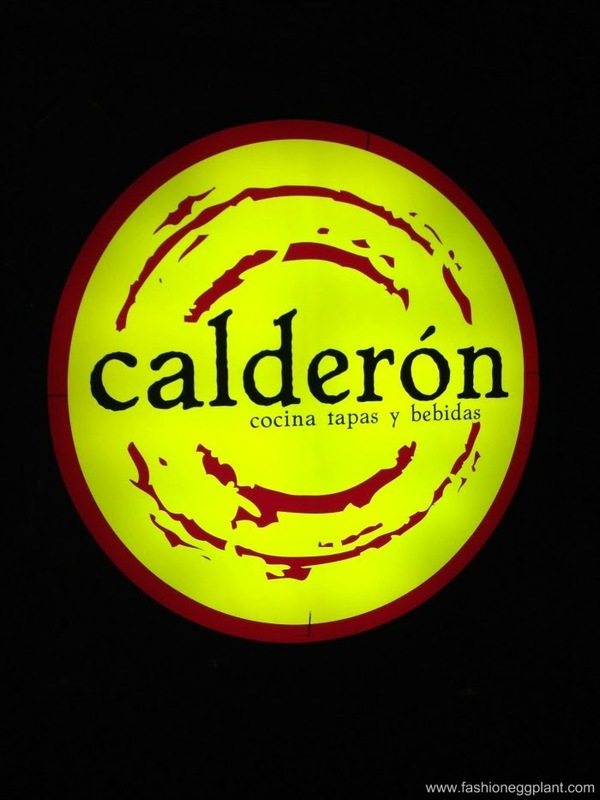 Aside from food, another attraction of Calderon is the boutique beers they serve. The ambiance of the place is perfect for a night out with close friends over great beers and Tapas. 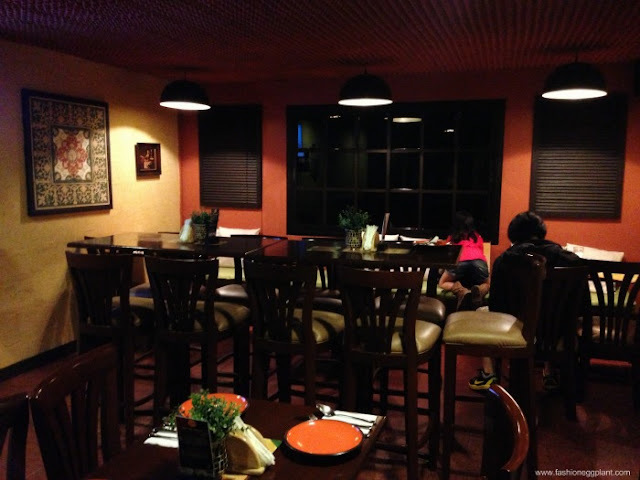 My verdict on Calderon is obvious, the place is worth visiting even if you're from the South. One of the best Spanish restaurants I have ever tried. Calderon is located at 403 F. Calderon St, San Juan, MM. It's off Wilson, near Moksha and Ristras. wow! meron pla tsokolate eh at ah??!!! hmmmm....ang galing hahahha!